More than 150 people attended Rhinos Without Borders benefit June 5 at Stone Tower Winery near Leesburg. 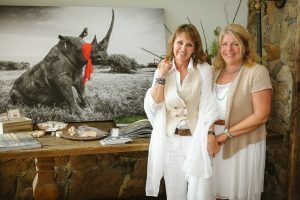 The event raised $90,000 to help the organization move African rhinos to safety in Botswana. The project co-founded by National Geographic Explorers-in-Residence, Dereck and Beverly Joubert, and aims to move 100 rhinos from the reach of poachers. Kristi Huber and Beverly Joubert. The fundraiser was hosted by the Jouberts, along with Stone Tower Winery founders, Michael and Kristi Huber, co-hosts John Fahey and his wife, Heidi, as well as Jeff and Lauri Zell, JM Zell Partners. A La Carte Catering + Event Design, Tuscarora Mill Restaurant, Lightfoot Restaurant, Cedar Knoll, West End Wine Bar & Pub, Lansdowne Resort and Spa, and Main Event Caterers also contributed. 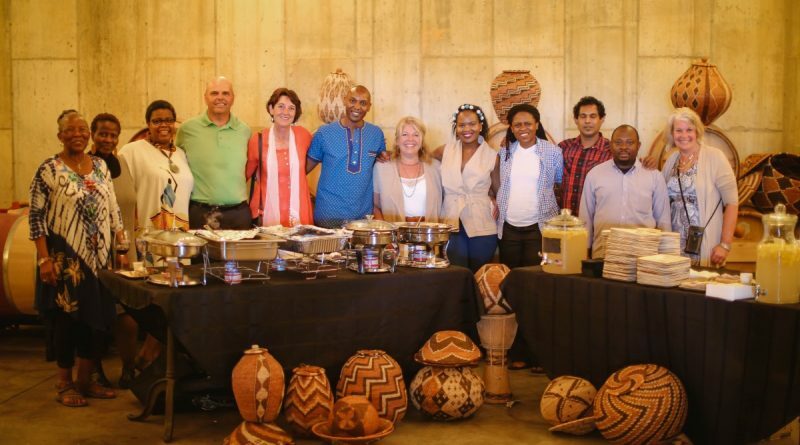 “The Stone Tower Winery event was the most professional and fun rhino fundraiser they have participated in,” Dereck Joubert said. The money raised is enough to move at least two rhinos and donations are still coming. ← Editorial: A Quick Fix?